I had just arrived in Toronto by train and had five hours to kill before my flight back to Alberta so I decided to head downtown to see what adventures I could find. It had been seven years since my last visit to Toronto and my first visit as a solo traveler, so I did what any tourist does when in the capital city of Toronto: I hit up the CN Tower. The landmark isn’t hard to find, standing over 1815 feet high. It was built in 1976 and became the world’s tallest tower, holding it’s record until 2010. It is now listed as the third tallest tower in the world and continues to hold the record for the tallest freestanding structure in the western hemisphere. Many tourists head up the CN Tower to the observation deck where through a glass floor they can spy on those going about their daily business below. I had done this once before so I opted to take things one step further, literally. I signed up for a little something called the EdgeWalk. Listed as the “World’s highest full circle hands-free walk”, I had to add this to my bucket list just to check it off right away. There were many people in line ahead of me but most were signing up as groups of two or three. With only six people per EdgeWalk group I was able to sneak into the last spot on the next group to leave as the couples ahead of me had to sign up hours in advance to be able to walk together. 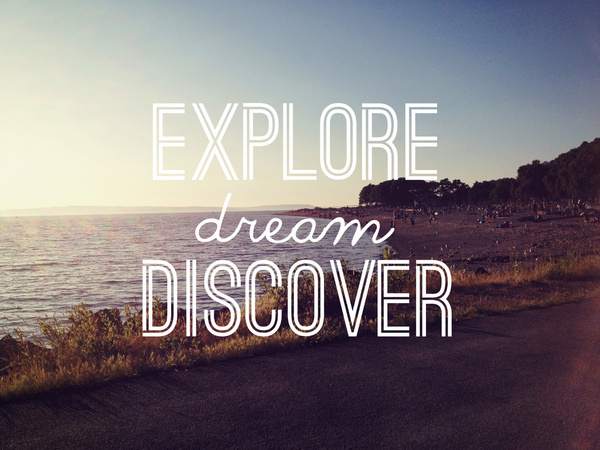 There are pros solo travel! I signed my forms and was let into the briefing room where the rest of the group was already suiting up. I was handed a bright red jumpsuit and a harness as soon as I entered, dressed quickly, and got in line with my five fellow walkers. We were then taken in a private elevator up to the roof of the restaurant, 1168 feet in the air. In the little room atop the restaurant we were clipped into the safety line above us before being led outdoors. The wind wasn’t as bad as I had expected. Despite being a beautiful summer day, the air was cool so high up however the jumpsuits provided enough warmth for the half hour we were outside. We began by toeing our way to the edge of the walkway. Our guide nonchalantly then pushed himself over the edge, relying only on his harness to keep him in place. He walked at an angle in front of us, displaying his trust in the equipment and hoping to give confidence to the few whose nerves were shown blatantly on their faces. As we each gained the courage our guide had us each dangle our toes over the edge. Then turn around and balance only on our toes. The brave ones leaned back in their harness, balancing the arches of their feet on the edge of the walk, as if reclining in a lounge chair. That part wasn’t so bad. We walked around part of the tower as our guide pointed out different landmarks and areas of Toronto. We were given permission to walk as close or as farm from the edge of the ramp as we felt comfortable. Only one stayed near the inside, keeping close to the security of the wall as the rest of us ventured a little closer to the wild side. I was probably a little closer tan I should have been when my balance and grace is taken into consideration. I only tripped once and my harness was secure enough that I wasn’t going to go anywhere if I did fall. This was very reassuring. We played around again on the edge, leaning back, reaching out, then we leaned forward. With the guideline pressed up against my shoulder, I slowly rolled towards my toes which were dangling high above Toronto. I looked down at the cars which appeared the size of ants. It was a long way down and my adrenaline was a long way up. 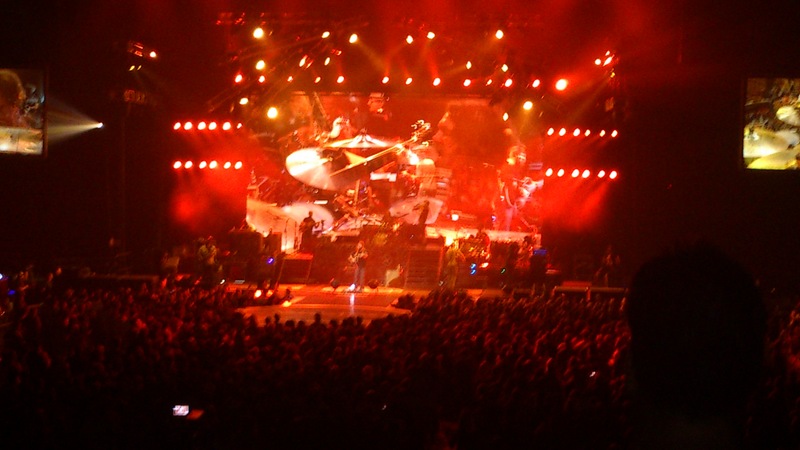 The experience was a lot of fun and I never felt my safety was at risk. The edgewalk wasn’t as terrifying as a bungy jump but would still be rattling for someone scared of heights. The great thing about this adventure is that you can choose your comfort level. If you would rather stick close to the inside walkway and have the security of the wall , no one will hold it against you. As you gain confidence and are feeling like taking a risk you can go as far as you are comfortable whether it’t having a look over the edge or dangling your body off the side. After the EdgeWalk we were each given a photo and video DVD which was included in the $195 cost. This was a bonus as many of these types of activities love to charge and extra $20-$30 for these. The EdgeWalk ticket also gave me a fast pass to the observation deck so I didn’t have to wait in the long and winding trail of visitors. I was surprised by that fact as I had just been told I had a pass to the observation deck, I had no idea it meant I would get to skip on the long wait time. This was a great bonus! If you’re looking for a way to get out of your comfort zone but aren’t ready to jump off a bridge or out of a plane just yet, the EdgeWalk is a great place to start if you find yourself in Toronto. Despite having done three Bungy jumps and a Skydive prior to my visit I still had a great time at the CN Tower. If you visit on a clear day you can sometimes see the skylines of New York State and Niagara Falls 160 kms in the distance. I have now been back in Australia for three weeks since my visit home. It’s much warmer than when I left, but I don’t even mind. I acclimatized much quicker than I thought I would have. My brother and cousin, who came to Australia with me this time, are having a much more difficult time dealing with the heat. 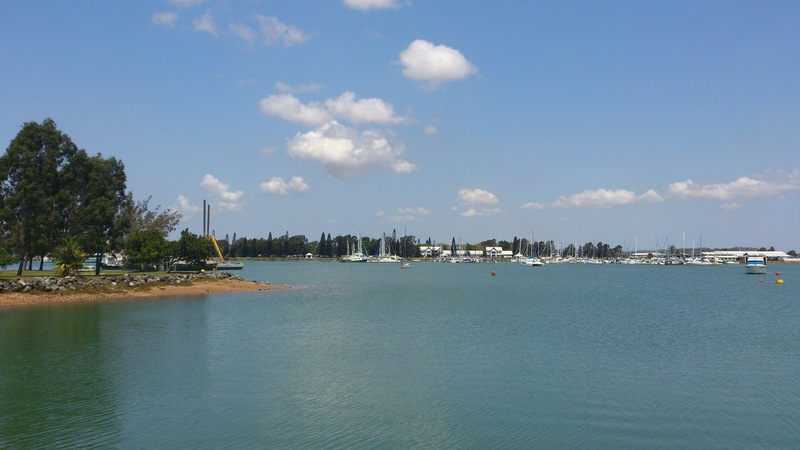 Within a week of being here they had already experienced days as hot as thirty-eight degrees. It was a bit of a shock to the system, coming from the eighteen degree days we were having in Canada! My visit home was lovely, it was great to see everyone again- once my flights FINALLY landed. It was a bit of a hassle getting home. My flight from Brisbane was turned around after forty minutes as someone was too ill to fly. 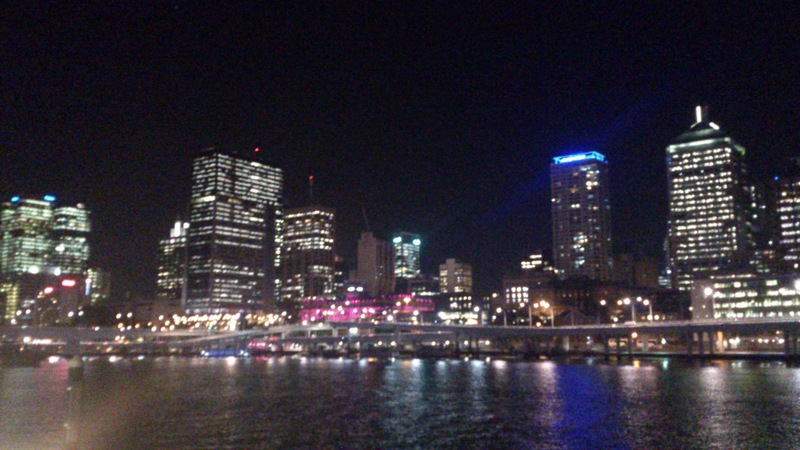 We departed Brisbane for the second time more than two hours past out planned departure. Unfortunately, because of this delay, I missed my connecting flight from Auckland to San Francisco. Many other travellers had also missed connecting flights to different locations so it was a bit of a wild show upon arrival in Auckland. The Air New Zealand agents worked hard to find other flights and spare seats to check the different travellers into. Some people were more distraught than others. One poor girl missed her fathers funeral because on her missed connection. I was not too stressed over the situation, however I was hoping I wouldn’t have to spend a night at the Auckland Airport. Luckily, I was placed on a flight to Los Angeles departing shortly after I received my new boarding pass. I headed down and caught my flight. Once on board, I could not complain at all that I had missed my flight so San Francisco, as I had been places in a seat by the emergency exit. I may not be very tall, but I still loved the extra leg room! I couldn’t stretch my legs enough on that flight. I had a couple hours to kill after arriving in L.A., so I messaged a former hostel mate from Sydney. I knew he was currently in the city, but it’s a huge city so I didn’t expect to see him. It turned out Andy was living just a short way off from the airport! he drove straight down to see me, leaving the house in such a rush he even forgot his wallet! I didn’t have long to chat before heading to catch my flight, but it certainly was great to see him again. 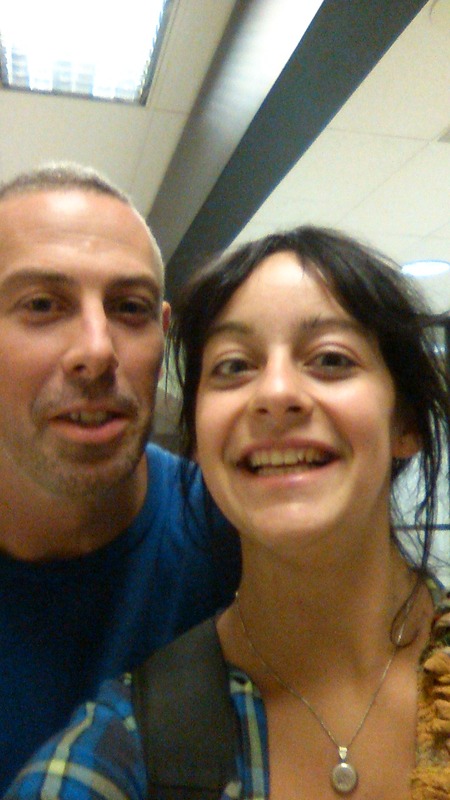 A Canadian and an Irishman, who lives in Australia together, reunited in America. That’s the cool thing about travelling. After our lovely visit I rushed back through security, hoping I wouldn’t be late for my flight. It ended up being delayed, so I could have drawn out our catch-up. I guess the airlines just didn’t want to take my home just yet. I believe the weather was working with them too, to keep me away. I finally boarded my flight to Vancouver, an hour late. It was only supposed to be a short flight, but due to a lightening storm over Vancouver, we were unable to land. We circled Vancouver for close to an hour. I continuously watched the little screen telling me my distance from home; 14kms, 9kms, 4kms, 11kms, 21kms, 17kms, 8kms, 12kms… Around and around we went. The storm eventually cleared enough for the plane to land, but we then had to sit on the runway for another half hour or so, waiting for the ground crew to be approved to head out on the tarmac. After much delay, we pulled into the gate. It was a relief to have finally made it to home. Too bad I still had to go through customs. I had filled out my customs form as a Canadian citizen and taken it to the customs officer. He then bombed me with question after question about my travels and my return to the country. I was then made to change my details on the customs form to that of a visitor. Apparently Canada doesn’t want me as a citizen any more. After having my customs form returned I then proceed to the inspection area to have the contents of my bag checked. 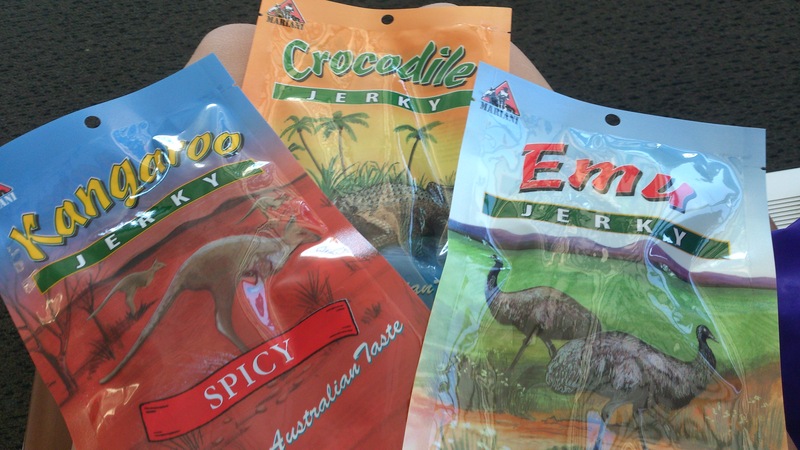 I was bringing Kangaroo, Alligator, and Emu jerky back into Canada and it just had to be looked over. Thankfully, it was fine to bring in with me, my family all tried it. The Alligator was the best, the emu made me sad as it reminded me of my poor baby emu, Edward, that didn’t survive, and well the kangaroo, was just fun to say you were eating. I got the final okay and headed off down the hallway to the arrivals area where my parents were there to surprise me. It was after one in the morning and I was exhausted. I stayed at the airport a few minutes to chat with one of my good friends who had come to the airport to meet me as well. It was a nice way to come home, to people I love. I had a good nights rest at the hotel before catching the ferry to the island. 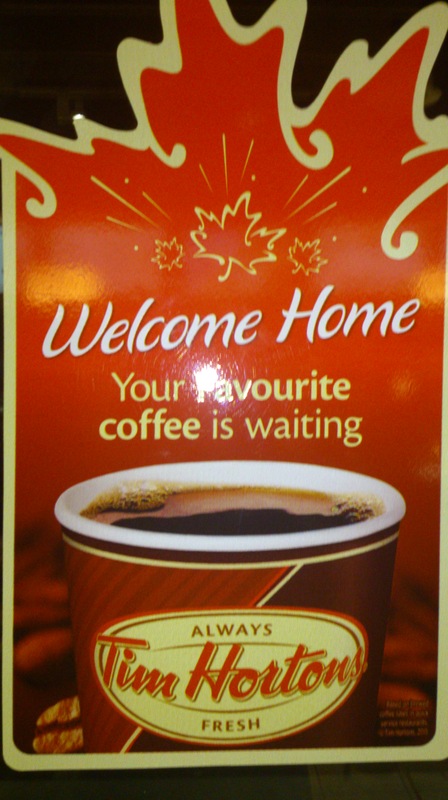 The fist thing I did in the morning was have my parents pull up at Tim Hortons, a Canadian favourite. They even had a “Welcome Home” sticker in the window (I like to believe it was meant for me). For breakfast I had a bagel B.E.L.T. 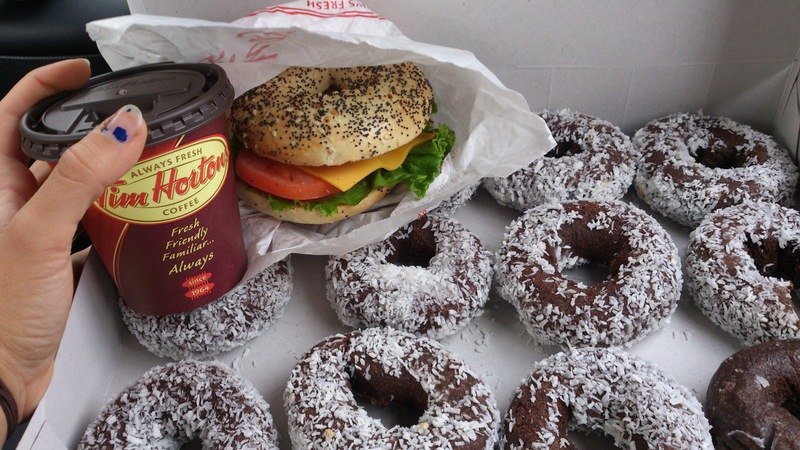 on an everything bagel, a hot chocolate, and a dozen donuts. My fist day back was a little overwhelming. Especially driving back on the right side of the road. I went around town, visiting friends at their various jobs, surprising them. A lot had changed in the town while I had been gone, but I was more bothered by how much the same so many things were. It was hard to believe that I had left for two years, seen so many amazing things, gone on so many wild adventures, and really learned more than I had in my thirteen years of school, yet the town really was not that different. It almost felt as though I had stepped through a time warp, I had been out living life and the rest of the world had just stopped while I had been gone. My fist day at the mall with a friend was a lot to handle. We had planned to grab lunch from the food court but there were so many people, so much noise, and so many decisions I was on the verge of a meltdown. There were more people in the food court than at largest event I had attended in the previous six months! I spent my days visiting friends, spending time with family, and relaxing. It was a strange feeling to be able to sprawl out across the couch and not have to worry about finding a job, going to work, being the hostel couch hog, or being too comfortable in someone else’s home. It was my home, and I could relax and enjoy the peace and quiet. It was only then that I realized how full on and non-stop the past two years have been. I didn’t relax the whole time though. 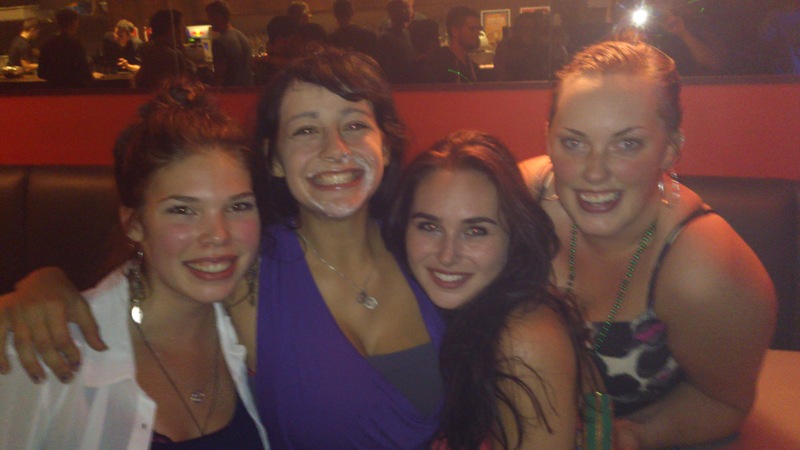 I took my open water dive course, spent my twentieth birthday diving with my family, attempted paddle boarding my best friend, went mini putting with another close friend, had a large barbecue for a chance to catch up with friends, went to a Zac Brown Band concert, and of course, had the infamous Canadian birthday shot (I was in N.Z. for my nineteenth birthday, so we were making up for that). 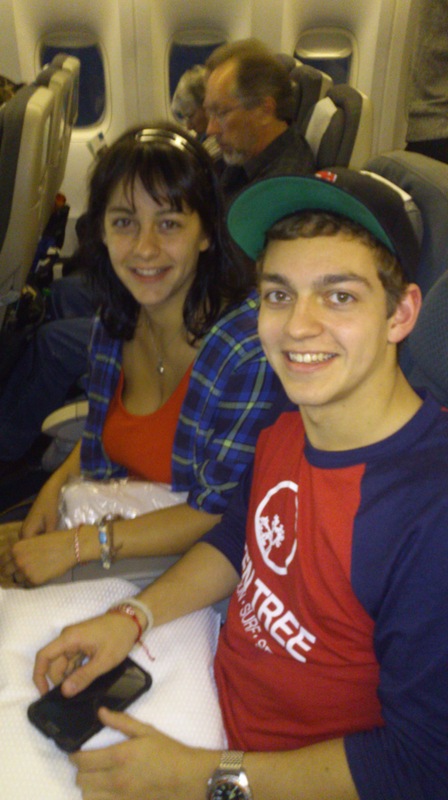 When my three weeks were up, it was time to catch another long flight back to Australia. I was sad to say goodbye to everyone again, but I was excited to get back to my adventures, this time, with family in tow. My cousin, Ethan, and younger brother, Jared, joined me this time. It was a little odd catching a flight with other people. Talking to someone on the plane that wasn’t a total stranger. 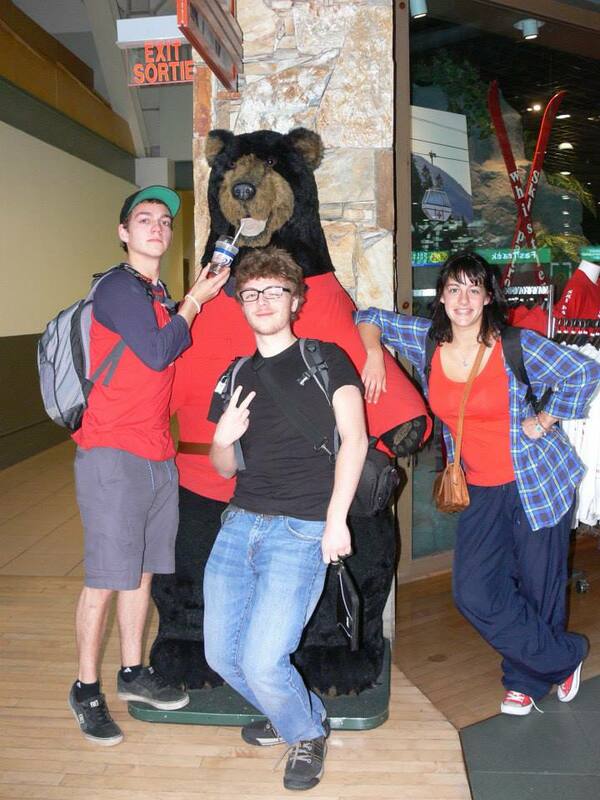 Guiding them through the airports and showing them how it’s done. 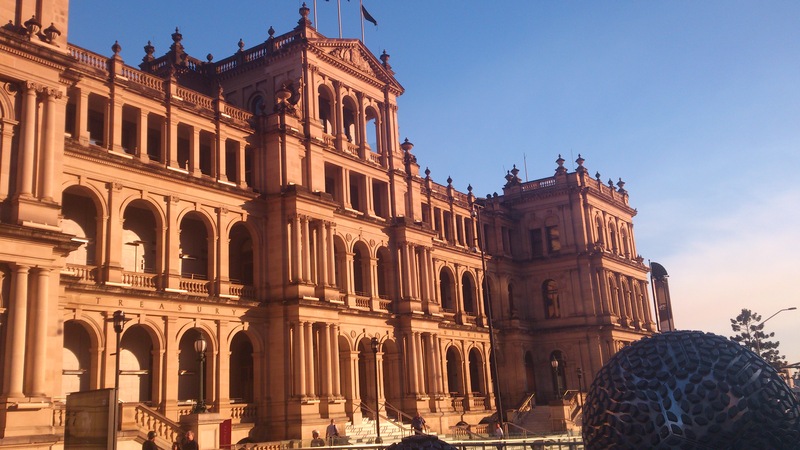 We flew into Brisbane without a problem, where we caught the train into the city. Our hostel was just across the road from the train station. I had stayed at the same hostel before I had flown home, so I knew it was a great location. 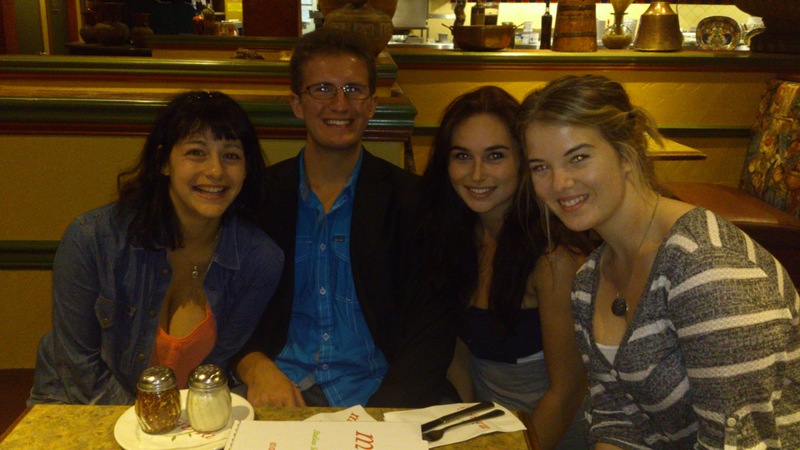 Sadly, Ina, a German backpacker who I had lived with in Sydney was no longer at the hostel. Luckily, I had gotten to see her the first time I had stayed there. The three of us Canadians spent a couple days wandering Brisbane before catching a flight to Gladstone, where we would pick up and pay for our new car. My boss at the cattle station had arranged the whole thing, as it was her brother who was selling us the vehicle. It is an old Toyota Sahara Landcruiser, a top notch four wheel drive vehicle. The car just passed a road inspection and we put a brand new registration on it. We are all happy with our purchase! When the final paper work was settles, and the final fixes on the wagon complete, we packed up and headed back to Clermont. It was drawing close to the Twin Hills rodeo and races weekend, and I didn’t want to miss it! It was a great few days spent in the bush, camped up with a lot of friends. I introduced Jared and Ethan to everyone I knew then disappeared to co catch up with people I hadn’t seen in a bit. I didn’t end up watching many of the actual events as I was so busy socializing, but I still had a wonderful time! The boys, who found the whole situations a little wild, enjoyed themselves too. The days after Twin Hills were well spent. 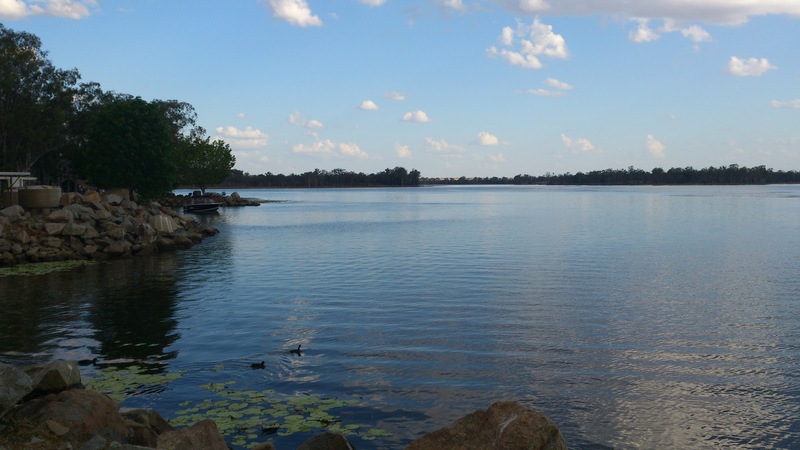 We visited the Theresa Creek Dam where we had a picnic and went for a swim. 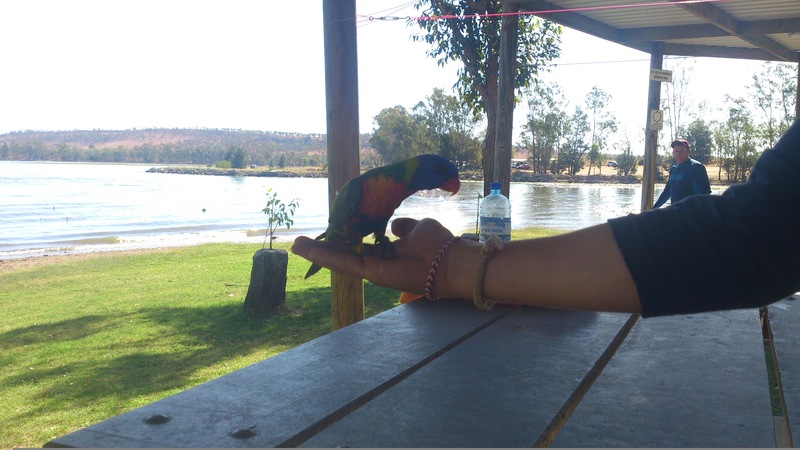 Jared spent time at picnic table, luring a lorikeet into his hand. 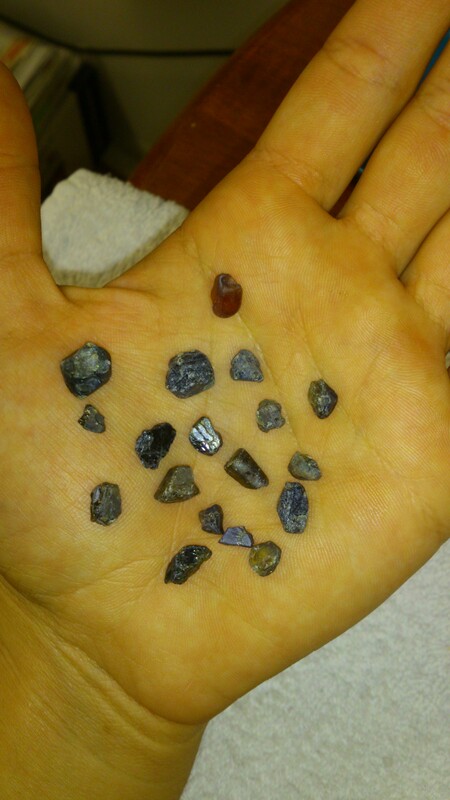 We spent a day in the Gemfields where we fossicked for sapphires. The three of us each came out with a nice little bag of gems. I had been there with Darcy in August and we had a wonderful time. When I had gone with Darcy we had taken the tour through the mine at Miner’s Heritage. It was a neat little tour, but the two boys decided not to do it, so we just sifted through dirt in search of gems. Before we left Darcy’s house, where we had been staying, he took us out to look for pigs. He had seen one while working earlier that day, so we just went for a look to see what we could find. It took us two tries. Unfortunately Darcy’s ute broke down as we were heading up hill in a paddock. We tried to get the vehicle going again, but had no luck. It was just a short three kilometre walk back to pick up the other ute. The sun was just setting when the dogs perked up. We pulled up to see if they would jump and have a look. That’s when Jared spotted a small mob of pigs in the distance. We all jumped up and went running, the dogs taking the lead. 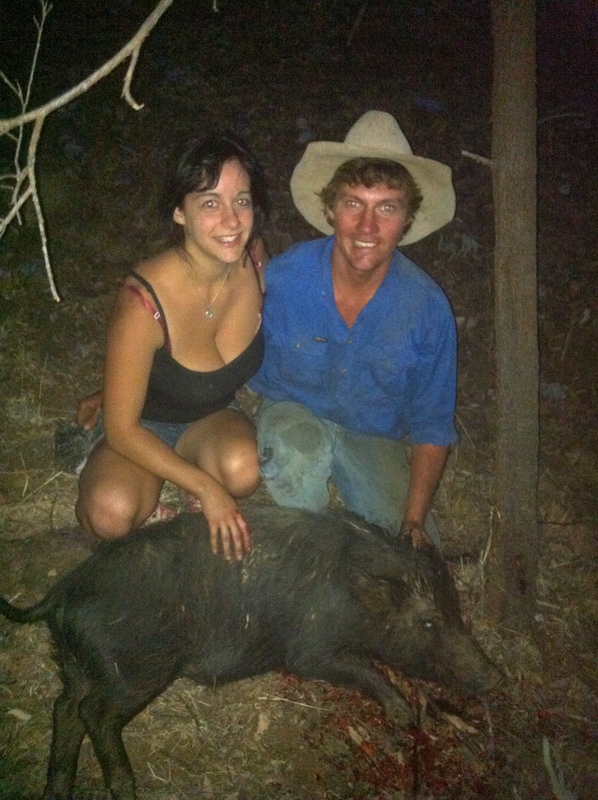 Pigs are a bit of a nuisance in the area, and hunting them is legal, so it’s a good way to get your adrenalin pumping. We all raced up over a hill, then down the other side. The dogs had caught a pig by that time and we were all stumbling down the hill to catch up to time. Darcy got there first and grabbed the pig. He knew I had been out a few times but had never stuck a pig, and it was something I wanted to have a go at. he handed me the knife and I jumped right into it. She was only a small sow, but I was still proud of my first pig. We all had a bit of a workout with the sprint. Our hearts were all racing and the sun had set by the time we made it back to the ute. With that, we headed home for dinner. Just another adventure for the books. Jared, Ethan, and I, are now back out on the cattle property. My bosses offered us a few days work, painting a building that had just been redone as accommodation. We have been painting for three days now and have a day and a half left. 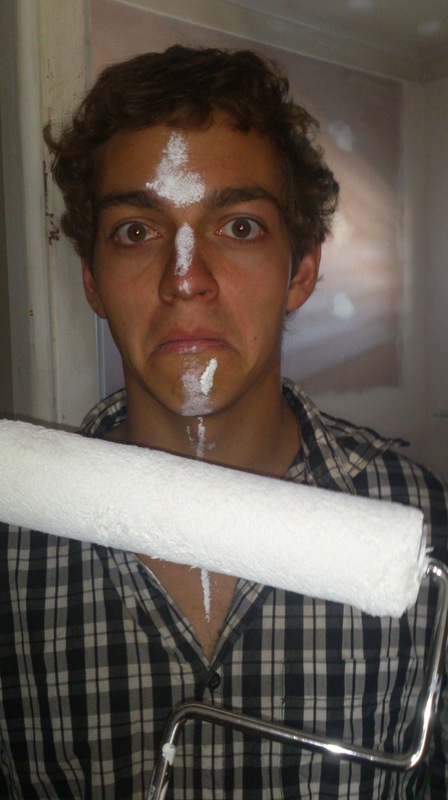 I think I ended up with more paint on myself than the walls though. That’s what I call coordination! The day after tomorrow we will head back into Clermont for the night. 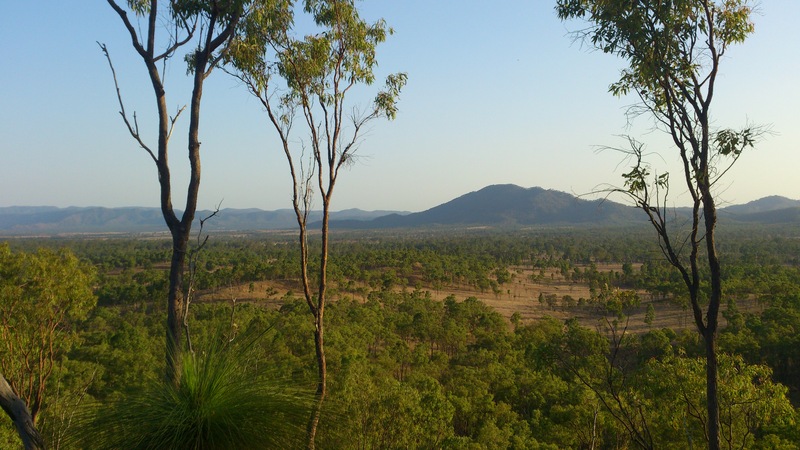 Jared and Ethan will head north to Cairns on Sunday, and I will head south to Emerald. My trip home cost me a little more than I had hoped, so I need to work again. 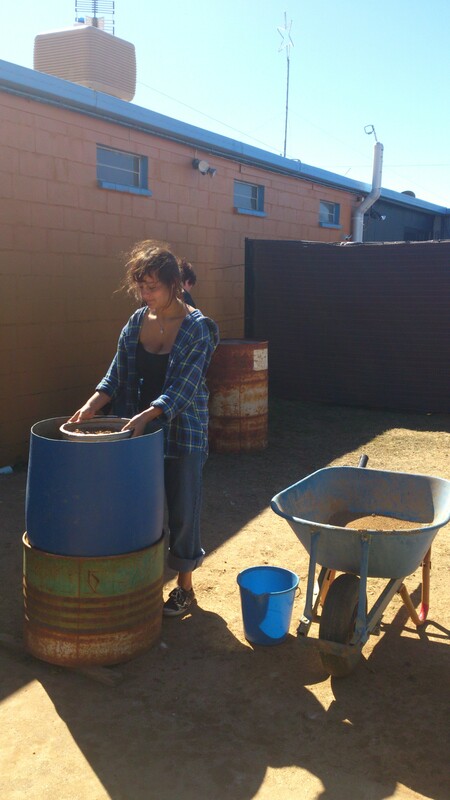 I found a neat job though, working as a drover. If you have seen the movie “Australia”, you may know what I am talking about here. No, I didn’t misspell “driver”. A drover is someone who drives a herd, in this case, of cattle. Because it has been so dry this year, many farmers are struggling to keep cattle alive as there is not much for water or grass. There is a stock route where cattle can be walked along the side of the road in hopes of fresher feed. We will be walking the cattle around 10 kilometres a day, letting them eat as they go. the plan is to start out on four wheelers, and possibly switching to horseback if the country becomes to rough. Droving has not been common in Australia for years now, but because of the lack of rain, more and more people are resorting to this. I am looking forward to this work, a new day, a new adventure! Blast Off, Baby. Blast Off. Well, I am now flying over Vancouver. It’s quite an incredible sight, the little orange dots of light below me seem to go on forever. There are a lot of clouds though, so it’s an on and off view. When I turn and look out the window to my left I just see darkness, the night sky surrounds the plane. Out the right window however, is the most beautiful sunset. I have never seen such a deep red in the sky. We are above the clouds, so the sunset goes straight across the horizon, as far as the eye can see. It’s really quite beautiful. I woke up this morning, apparently not early enough. I still have a few items scattered across my room. Everything was supposed to be in the basement, but I tend to procrastinate. Well left the house, and I said my goodbyes to the dogs and the town. I feel the need to take a train today, as I took a ferry to Vancouver, then drove to the airport, and now I am flying through the sky. A train seems to be all that is left… and a submarine, but that’s a bit of a stretch. My whole family came for the ride to drop me at the airport. We stopped for lunch at East Side Mario’s, my favourite restaurant. The food was delicious and filling. The waitress even brought be a dessert “on the house” as she knew it was my last meal in Canada for the year. It was delicious. I should tell people more often that I’m leaving! I had to hurry through the airport to make my flight on time, even still I almost missed it! I said goodbye to my family and yes, I did cry. I scurried along to check my baggage and go through security. I always get stressed out that they will stop to search me, so of course they did. I had to go stand in the giant body x-ray machine they have all set up. I felt very uncomfortable standing in front of so many people hands stretched up above my head and feet a little more than shoulder width apart. They then swabbed my bag to check for explosives. I was then permitted to move on to customs. The line for customs was stressfully long and slow moving. The girl in front of me in line is on this flight as well, neither of us were sure if we’d make it. Once through customs I had to run to my gate, making it just in time for boarding call. Would have been a terrible start to this adventure had I missed my flight. Well, the attendants are coming around with snacks, and I sure am hungry! I’ll write again on my connecting flight to Auckland! Wow, the stars have never looked as big and beautiful as they do right now. I feel like I am flying through outer space, this is probably the closest I will ever come. The rest of my flight to LA went smoothly, I watched a movie and chatted with the man sitting beside me. I’m glad to have sat beside someone so friendly, I was all worried I might get stuck beside someone smelly. He was on his was to Los Angeles for a bit before heading to Hawaii, then Australia where he is planning to work for a year. Maybe I should have taken a trip to Hawaii first- split up my flight time. It was neat to end up sitting beside someone I could relate with. Of all the reasons people have for travelling places, I ended up by someone who was going at life the same way I am right now, although he was 10 years older. I guess I just have an early start. Or he just has a late one. We went out separate ways upon arrival in LA, not before exchanging names for Facebook though. He had been considering visiting New Zealand during his travels, who knows, maybe we’ll end up running into each other again. I am now about six hours into my flight from Los Angeles. Still another six and half hours to Auckland. I have already watched a movie and napped. I was getting kinks in my neck though so I just woke up. There is a huge selection of movies on this plane. I had a choice of 13 movies of just the comedy genre, I suppose with a flight this long though you need a lot of options to keep you entertained. Landing and departing LA was breathtaking. I thought the Vancouver city lights went on forever, they have nothing on LA’s lights. I have never even seen a city so huge. It was very impressive. No matter who’s window I looked out of, there were lights spreading as far as the eye could see. The stars light the path from above, and the cities light the way from below. I keep turning to look out my window, but every time I do the little light at the end of the wing just glares at me. When we first took off I thought it was lights from another plane headed straight at us, it’s situated directly across from me, I thought I was going to die. I had to laugh when I realized it was just the wing light. I wish I was more tired than I am, it would be nice to sleep through the flight as it is too dark out to see much anyways. Also, we’re just flying over the open ocean, there isn’t much to see. I’m trying to be patient but I really just want to get off the plane and get out exploring! Assuming I make it through NZ Customs and don’t get deported. That would be brutal. I just have to finish filling out my Custom’s form. Some parts confuse me a bit, like the part where it asks for my flight Number and plane, well, I’m on flight number 5 but nowhere on my ticket does it give me the plane info. I also had to check ‘yes’ in the boxes asking if I am bringing dive gear and shoes that have been worn outside. The dive stuff hasn’t been used yet though, and shoes are obviously going to be worn outside, so I hope they let me through. I’m sure they get that all the time. I also had to check ‘yes’ to bringing food into the country. It was either that or I can throw the food out upon arrival, but I can’t toss out perfectly good Nibs! I need to use the washroom, but I have the window seat and the people beside me are both sleeping. i don’t want to wake them. Maybe I’ll just try to sleep some more and when I wake up, then I’ll be able to go! Hopefully they won’t sleep too much longer. The lady behind me is sleeping with her feet tucked up between my seat and the wall. I really don’t like feet, at all. I got past it and just ignored them because I couldn’t do anything about it, and they weren’t touching me, at first. She just started rubbing my elbow with her toes. I thought I was going to be sick. Like I said, I REALLY don’t like feet. I suppose that is a big enough speal for now. I will add another part once I have arrived in New Zealand and am all settled in! Brilliant! A bucket of candy was just brought around to everyone on the plane since we missed Halloween. It made me happy. Just a few more hours to Auckland now. Wow, what a great breakfast. Just sitting in a little café in Auckland. I just finished some eggs and toast, it was wonderful. I have some time to kill as I cannot check into my hostel umtil later this afternoon. OH LOOK! A little birdy just came hopping through the cafe. He walked around under the tables picking up crumbs. Everyone else just looked at it as if it was totally normal. The bird then flew off out the door, he didn’t have any trouble finding the ext. I wonder if that is a common thing around here? Well, upon arriving at the Auckland airport, I had to get my sneakers scrubbed as they had dirt on them. They were taken into the Biohazard room and scrubbed down. Apart from that I had no issues. I caught the bus into the city, I was the only passenger. The bus driver was extremely nice and chatted about how to get around and where to go. He also told me to be very careful because apparently there was a backpacker my age from Germany who was murdered a couple years ago. Hopefully I can find others to travel with soon! New Zealand is beautiful and I will write more soon. My laptop battery is about to die and I have more exploring to do! What to pack, what to pack?! 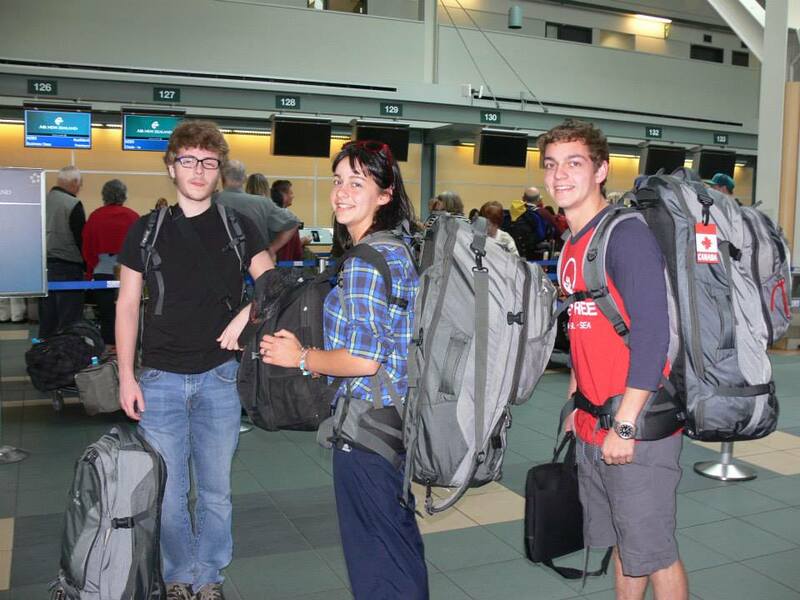 A year is a long time, and a backpack isn’t all that big. 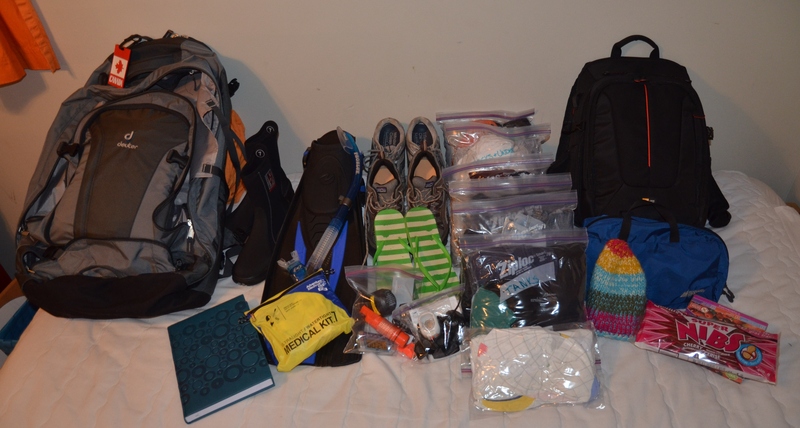 How do you pack to live for an entire year- especially when you have no clue what your life will include? Well, it involves a lot of packing and unpacking. I packed at least six times. Mostly out of excitement, I just pretended it was part of the preparation process. I packed up the rest of my room long before I packed up for my trip. My parents decided they wanted to take over my room, so everything I own is either boxed up in the basement, or in my backpack. It surprised me how little I missed the 12 boxes of things that have been away for the past couple months. It’s a lot easier to live with less than I thought it would be. Tomorrow I will spend a year living with even less. My 70 litre pack holds quite a bit, however I decided to pack my mask, fins and snorkel as well. The fins take up about one third of the space in my pack. They’re pretty big. This just means I have to pack less than I had originally thought. So, Let’s take a look at what I managed to squeeze in. The backpack -Kind of a key part in this whole thing. 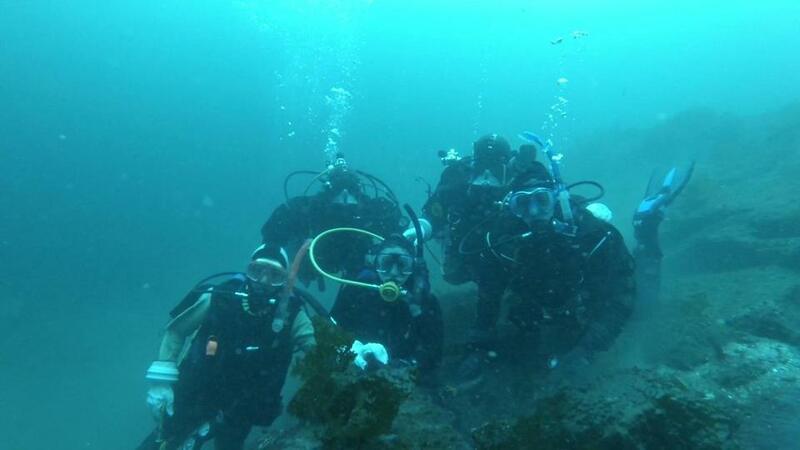 The dive gear– Not necessary to take, but how can I resist diving in New Zealand? A Journal- Again, not necessary. That’s what this blog is for, right? Wrong. I have decided to do a travel yearbook type journal, but without photos. I hope to get others I meet and have experiences with along this trip to sign this book. I can then read the perspective of others on what they thought of our time together. The Handy Dandy First Aid Kit– I’m a bit of a klutz so this guy is definitely needed. Good thing I have some first aid under my belt as well. It’s often useful to know how to use the supplies you’re provided with. However I hope everyone knows how to apply a band-aid. Shoes– Hiking shoes, everyday sneakers, and flip flops (maybe I should be more Kiwi and call them “jandals” now). Knick-knacks– We have a little baggy of items such as a Swiss Army Knife, plug adapter, travel clock, a Petzl light, and a whistle/compass/match case/flint/signal mirror. Very nifty items. Clothes– DEFINITELY necessary-unless you’re a nudist of course, which I am not. Clothing articles are divided up, rolled then put into Ziploc bags which have the air all pressed out of them. Makes for much easier packing. Our bag categories are: Shorts (2 sporty, 2 jean), pants (1 dress pant, 1 denim, 1 sweat), tanks (lots), shirts (a couple for those days out in town), swim gear (for hiking mountains. Not), and the sock and underwear bag (enough for 2 weeks). Bed Sheet– Some hostels ask that you provide your own bed sheet. Toiletries Bag– mini toothpastes are great. I left behind shampoo and soap, I’ll pick those up in New Zealand. I don’t want to have to worry about leaks. Camera and Laptop– The black bag there is my carry on and “carry everywhere I go” bag. It is home to my camera and my laptop. Food– Air plane treats. It’s a long flight! I didn’t include my passport and money in this photo, however they are obviously coming with me!! I squeezed in a couple other items such as Canada keychains and other small items. Voila! It’s all in the bag, set and ready to go for my flight in 16 hours. I suppose with everything all packed up now I should hit the hay. Last night in my own bed for a while, so I have to take advantage of it! I’m now all set and ready for take off. 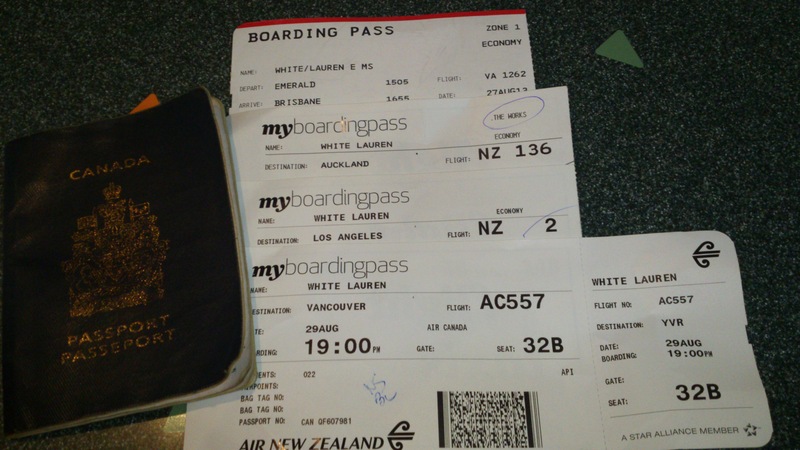 New Zealand, you better be prepared because soon Lauren will be there! Well, the date is drawing nearer! Less than 2 weeks to go before my departure. As much as I hate to admit it, the nerves are starting to kick in. I suppose I can be nervous though, after all I am about to head off on my own for the first time, I just had to choose the farthest away destination. It’s exciting too though! VERY exciting! 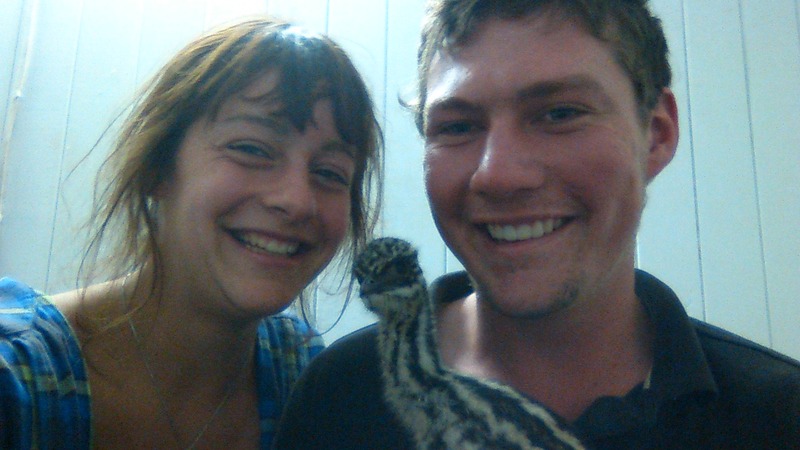 I got my Working Holiday Visa last week. It was approved in approximately 2 weeks. I could be out of here already, but then I would have had to say my goodbyes sooner than I have to now. I’m not a fan of goodbyes, but I suppose they are inevitable. When I got my passport back with my visa inserted, I was also sent a welcome package. 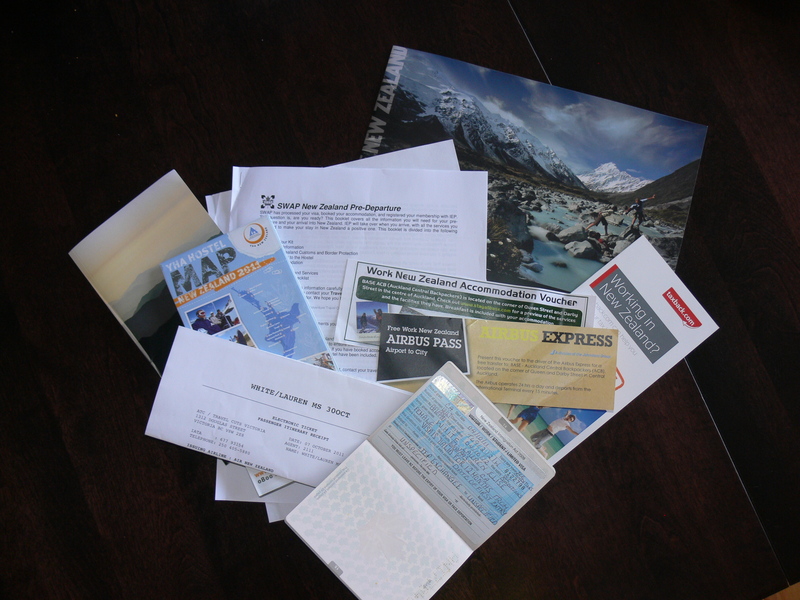 In this package I got an information packet with pre-departure information, a bus pass to get me from the airport to my hostel, a hostel voucher for my first 2 night’s accommodation, a map of hostels in the country, my plane ticket, as well as some other information on New Zealand. I have read every word from the package, numerous times. I’m still waiting for it to hit me that am actually leaving. It still feels as far away as it did a month ago, just a far off dream. Soon enough though I’ll be on that plane, then in New Zealand. If it doesn’t hit me at the good-byes, I’m sure it will when I am standing in the streets of another country, on my own. My days have been fully scheduled. Between work and trying to make sure I see all of my friends before I leave I haven’t had much time of my own. The coming days are just busier and busier. I don’t mind though. May as well go all out for my last weeks here! My last day at work is on the 26th, this will give me a few days for more goodbyes and time to spend with my family. 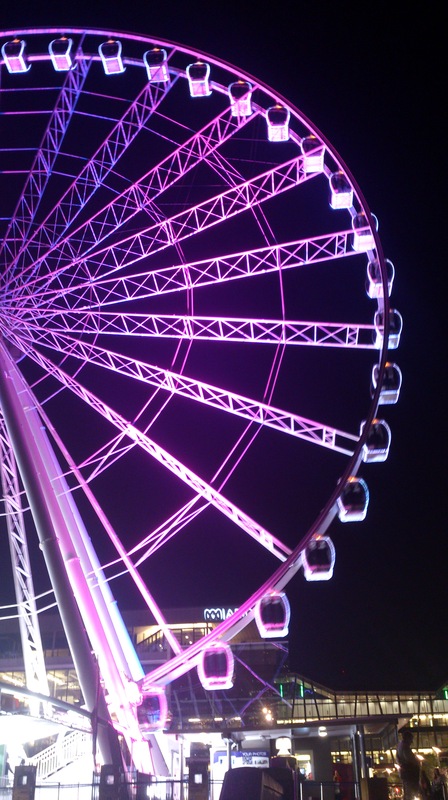 My list of things to see and do while I am off on my adventure continues to grow, the most recent addition was the Wild Foods Festival in March. I have never really thought about trying worm sushi or wasp larvae ice-cream, but apparently it is served so I may as well give it a try! Just to say I did. I will post up my to-do list soon, then as I accomplish each thing I will write about it! It’s a fairly long list, so I hope yo’re ready to do a lot of reading. As my days in Canada are drawing to a close things are really starting to pick up pace. I thought I should pop in and say a few words, so there you go! Would you look at that!? Water resistant money. How nifty! 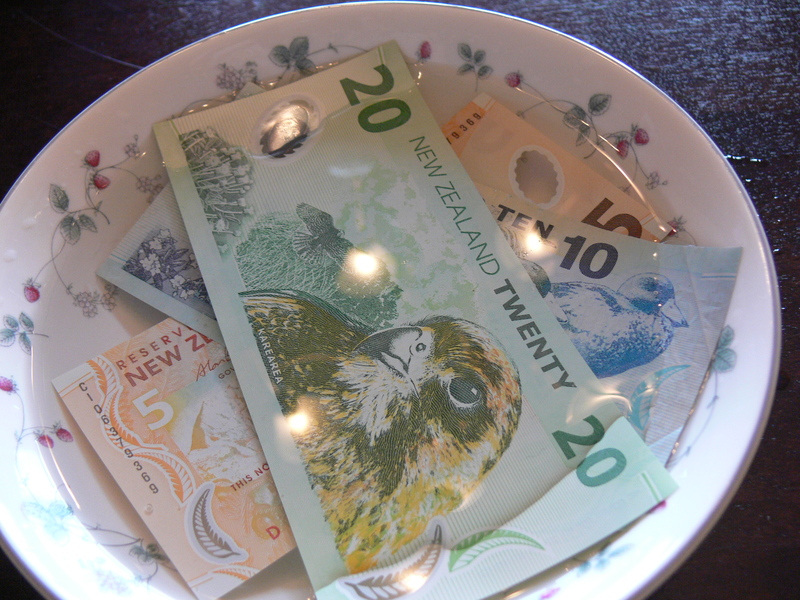 While out to lunch with a friend today, I got a phone call from the bank- My New Zealand money was in! I had to order it in because it is not a regular currency traded for at my bank. Three business days after placing my order I obtained $5, $10, and $20 dollar bills from the lovely country I am heading off to in 32 days! I was ecstatic! Although the bills were fairly similar to Canadian ones, there were definite differences that made the so much more fun! Mostly the fact that I could put them under water. Of course, I had to try it out! After all, if you’re going to make waterproof money, expect people to test it! So easily amused as I dunked the bills under the water time after time, then lifted them out to see if there was any change in them. Nothing. They dried off so quickly that when my brother walked into the kitchen as I was dumping out the water he picked up one of the bills and would never have known it had been dunked, had I not said a word. It was pretty awesome. 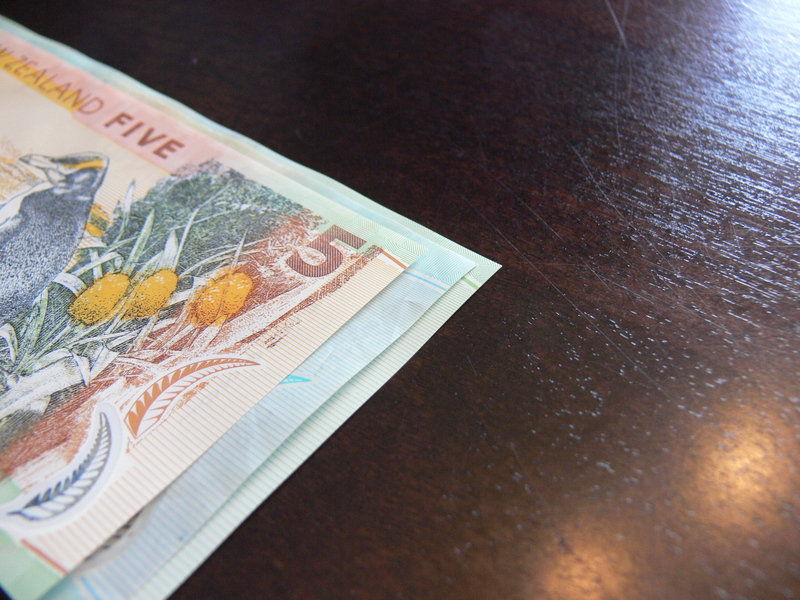 Canada is phasing in new Bills made from the same [polymer] material as the New Zealand dollar. It’s more durable and more difficult to counterfeit, so that’s good! I was just excited to get it before Canada, it seems more interesting when most of the people around you haven’t seen anything like it. I enjoyed showing off my new bills today. I especially enjoyed pointing out the size difference between the bills. 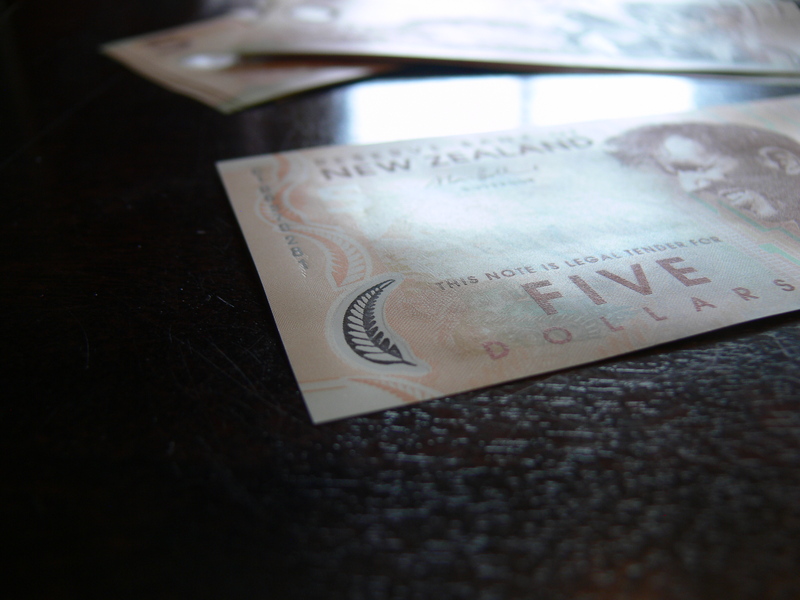 The New Zealand dollar bills change in size depending on the amount the bill is. The larger the amount, the bigger the bill. $5’s are the smallest, then $10’s, the the $20’s. I did not receive and $50 or $100 bills, but I am going to assume the pattern continues. I enjoyed lining them up to compare the difference. Just the smallest little things fascinate me. 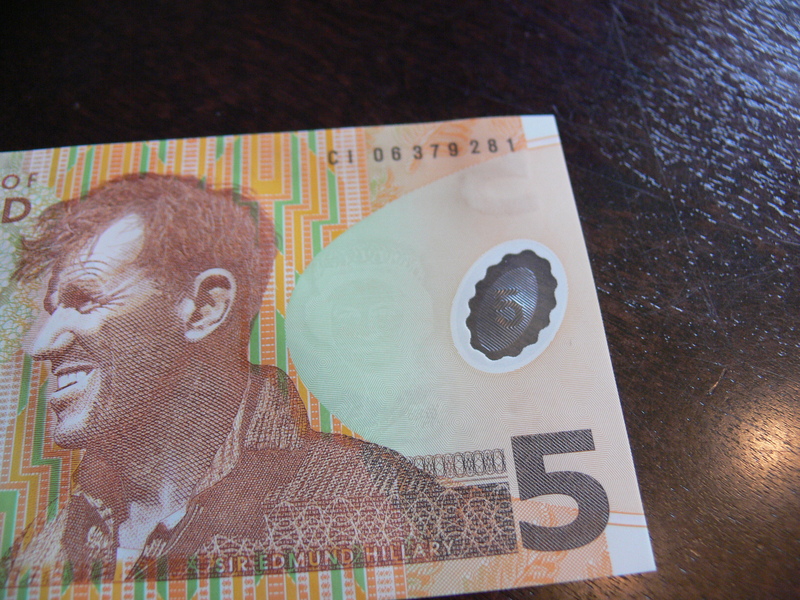 One more thing that I enjoyed were the two spots on each bill that you could see through. It wasn’t clear to really see anything through them, but it was almost a frosted plastic idea. A foggy window on each bill. One in the shape of an oval, the other in the shape of a fern. Inside the oval is the number of dollars the bill is. I look at how intrigued I am by this money, and I realize I am going to live in New Zealand for a year and have my mind blown every day. Every day I hope to learn something new, even the smallest things will amaze me. I can’t wait! As excited as I am, I was mildly disappointed that I will miss Halloween. COMPLETELY. 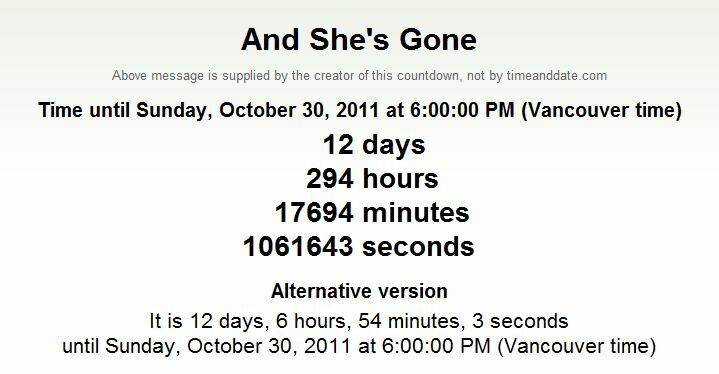 October 31st, 2011 will appear to never have happened in my life!! I will be flying from Vancouver to Los Angeles, and then departing from L.A. at 11PM on October 30th, I will be landing in Auckland, New Zealand on November 1st, after only 13 hours of flight! Bizarre!!! I suppose Halloween isn’t widely celebrated in New Zealand anyway, I just love all the candy and pumpkin carving! I’ll have to make a Jack-o-Lantern before I head off on my journey. It’s difficult to sit still when I think about how fast these next few weeks will go, so thrilling, yet I know the goodbyes won’t be easy. They never are. Although I have moved around a few times, saying goodbye to people I love has never been easy. Even when I moved I was still with my family, this time they’ll be waving me off too. Thank goodness there is Internet these days! So many great ways to keep in touch with everyone; Facebook, Skype, even this blog! It won’t be so bad. These next 40 days will feel long, yet at the same time they will go by so fast! I’ll be spending my last few weeks working to earn more money for New Zealand, spending time with my family since I’ll be without them for a year, and getting into as many shenanigans as possible with my friends! As excited as I am for this trip, I plan to savour these last days in Canada, after all, I only have 40 left. As the clock ticks soon that 40 will turn to 39,38,37…0. Then I’ll be gone. Thanks for popping in! I will post an entry about the planning stages of my blog next week as I will have had my meeting with my travel advisor and will have had my Working Holiday Visa application sent in! If you feel a little lost reading this short blurb, read the “All About Lauren” section! Thanks for your patience in me getting some posts on here! They’ll come soon, I was just too excited to wait until my trip is here to make the blog, so I made it a bit early!